There is much more to say about the background to the church in Thyatira. Every part of the passage in Revelation 2:18-29 points to leadership that is self-entitled, ruthless enough to do anything to maintain their position of power, and convinced that God has their back and therefore justifies every one of their actions and decisions. Thus we will continue to explore the imagery in days to come. Next week I will discuss the subject of food sacrificed to idols and how it related to church abuse. But I do not want this to become just a theological exposition. It is my intention to show how this spirit of Jezebel looks in church life, not only as I have experienced it, but in the lives of others as well. For that reason, I intend to intersperse my findings in the study of Jezebel with examples of abusive leadership operating in the spirit and power of Jezebel. I have many examples of my own interaction with the leadership at Living Word Bible Church, the church on which I worked as a staff pastor for many years, but lest you think this is only about me venting, I hope that many others will share their stories, though reticence is the hallmark of victims of abuse. If the emphasis seems unduly weighted against this one church, it is because that is the one where I experienced the spirit of Jezebel and I can speak about it from firsthand experience. There are many other abusive churches out there, I realize, and where appropriate, I will not hesitate to include them as examples as well. One person who has agreed to let me share her story is Patty Hite, one of a long list of staff members at Living Word who were the subject of laborious and involved attempts to keep them submissive and under control. Patty, at the time known by her married name, Pat Meyer, was on the staff when I first started attending Living Word. She and her husband, Hank, taught the Singles Sunday School class. Over several years, she and I worked closely together in both the Drama Department and in Children’s Church. Eventually, she became assistant to the senior pastor’s wife, Maureen. I had just started working on the staff about that time. Then one day, Patty was gone. A special staff meeting was called and we were told the reason. The event followed a pattern we saw many times when staff were fired, an event that occurred with inordinate frequency. If I had been more perceptive at the time, I would have asked why so many people were fired so often. The answer would have been that either the leaders were incredibly bad at judging the character of those they hired, or they were quick to discard anyone who questioned their ethics. But this was the first time I had seen up close what would later be almost ritualized, so I didn’t think much about it. We were told that Patty had engaged in an extramarital affair with someone she met on the Internet, at a time when her poor husband was in the last stages of cancer. Tom Anderson, the senior pastor, and Scot, his son, had confronted her, we were assured, and, in love, asked her to give up her sinful behavior and repent. She had refused and they had no choice but to fire her. As always happened in these meetings, they declared to us that they loved her, they were praying for her, hoping that she would repent, and that she would be welcomed back as soon as she did. In the meantime, it was strongly implied that we were to avoid any contact with her, so that we would not give any appearance of condoning her behavior. That’s the story we heard. As you can guess, it was completely fabricated. It was only many years later, after my wife and I reconnected with Patty, that I heard the real story. By that time, I had been shunned and ostracized myself, with much the same pattern they used on Patty, and her story did not really surprise me. Hank was, in fact, far from being an ideal husband. He was emotionally and physically abusive to Patty and to their children. Patty herself was a survivor of childhood sexual abuse, and as she got stronger in her recovery from the ill effects, she started to speak up more in her own defense, both to Hank and to others. Hank reacted as abusers do. He tried to put the blame entirely back on her. On her return from a visit with family in Ohio, Hank accused her of having an affair with someone she had met online. He told a large number of people, including their children, that she had taken the trip in order to be with another man. He apparently could not conceive how she could show any independence from him and an affair was the only reason he could conceive. Patty had actually met a number of people in an online chatroom Bible study. Several of them attended a church about twenty miles from her sister’s home in Ohio, so while visiting, she connected with them in person. That was the extent of her “online affair.” She went to a church service. The next day, however, Tom and Scot Anderson called Patty into Tom’s office, where they leveled accusations against her, essentially parroting Hank’s claims. How dare she talk to other men on the computer? She replied that she had talked to both men and women. How was that different than any normal Sunday at church? They didn’t care what she had to say. They demanded that she bring her personal computer from home and throw it into the dumpster while they watched. Patty protested this ridiculous demand. How dare they try to make a spectacle of her? “Then you will be fired,” they insisted. After fifteen years, Patty was escorted out of the building and send away. They insisted to her that her problem was that she didn’t spend enough time sitting in the services and listening to their teaching. Of course, they had her doing so many different things around the church that sitting in services was virtually impossible. A couple of things stood out to me as I learned the reality of Patty’s story. First was the reason for the firing. It seems on the surface to be quite arbitrary, but I have since seen it happen to others. In fact, Patty, in the process of speaking out more, had begun to question many of the decisions the Andersons made. And Tom Anderson has never liked to be questioned. In retrospect, most of the staff I have seen fired had begun to ask questions, and when steadily increasing pressure to make them behave failed to stop the questions, the tension built up until suddenly they were fired for what seemed to be arbitrary reasons. Patty fit the profile perfectly. Secondly, I am shocked at this point in my life with the willingness of all of us to just accept what happened and succumb to the pressure to avoid contact with Patty. Only one person from a church of thousands ever contacted her after that to see how she was or to hear her side of the story. Everyone else, myself included, just mechanically turned back to our routine, as though nothing had happened. Thank God I did finally hear the truth. For the record, Patty went on to remarry and, after the initial difficulties of breaking free from her abusive church, she thrived. This story illustrates how a Jezebel spirit of entitlement works. Anyone who asks questions is considered an enemy who is attacking the church. Such people are first pressured by any means possible to be silent and submissive. If that doesn’t work, they are cut from the congregation and every means possible is used to keep them isolated, including character assassination and lies. Such unethical behavior is justified as necessary to protect the church. Anyone in the church who dares to maintain contact with the outcast is also driven away. Of even greater significance to this study is the message of Jesus to the church of Thyatira not to tolerate such leadership. I was guilty of exactly that, as were most of the congregation. We turned a blind eye because we didn’t want to become outcasts ourselves. The position and status I held as a leader in the church, and the respect that came to me because of it, were more important than the truth. It’s not that I consciously thought these things through, but I instinctively knew I would be in trouble if I said anything. So I chose to believe the story given to us in that staff meeting and never once questioned it. Second, I hope those who are the target of abusive church systems will be encouraged to get out and find a healthier place to be. The problem is not church. The problem is abusive leadership. 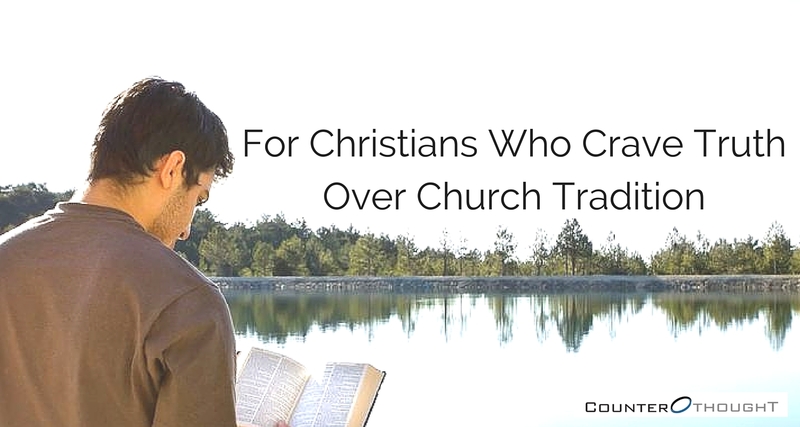 Not all churches are like that, but many—too many—are, and you are doing yourself no favors by staying in one. Third, for those who have turned a blind eye to this kind of leadership, I hope you will recognize it for what it is and be bold enough to speak out. It will cost you, but tolerating it will cost you more. Those who tolerated Jezebel in Thyatira found themselves cast onto a bed of suffering with her. Such toleration, according to Revelation, is akin to sexual immorality and idol worship.